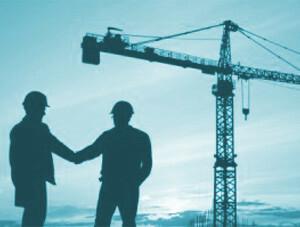 CEA Engineers has been providing Civil & Structural engineering services for clients throughout Ireland. Our experienced staff cover a broad range of projects, from small refurbishments to large mixed use developments. Our services are far reaching and include design services for new-build works and refurbishment works, design & build consultancy services, value engineering services, temporary works design, due diligence checks on third party projects, insurance claims and expert witness services. Our clients want to achieve a quality product, and they want value-for-money. We at CEA understand this and have built a reputation in the market as designers of economical structures. The company ethos has always been to ‘treat the client’s money as your own’, and this can be seen in our commitment to economical design and attention to detail. At CEA, we have always prided ourselves on delivering practical, buildable solutions. This comes from our collected experience and from listening to what contractors need. Contractors appreciate this and we regularly provide value engineering services and design build services to contractors as a result. CEA continues to provide structural engineering services on highly complex projects which are at the cutting edge of structural engineering all of which show that CEA consistently perform at the highest levels, and deliver a quality product for our clients. Structural engineering is a core discipline of CEA Engineers and many of the other services offered by the company require input from our structural team at various stages of a project. For example, our engineers require an excellent ‘first principles’ understanding of structural engineering, to allow sound engineering principles to be applied to difficult or unusual buildings. Having multi-disciplinary branches of engineering within the one company allows for excellent cross-pollination of ideas, and by understanding the requirements and objectives of each engineering discipline, the optimum solution can be reached. Our experience at CEA Engineers is widely evident from the substantial and varied portfolio of projects we have amassed over the years. We have provided engineering services in every discipline from commercial, retail and residential developments to education projects, leisure developments and conservation projects. Structural engineering, like many other branches of engineering, has become heavily reliant on computers, and the analytical possibilities that they bring. CEA has always maintained IT systems that are second to none, and we use cutting-edge computer software for analysis and design such as RAM, CADS Analyse 3D and STRAP. This allows detailed analysis and design of structural forces and properties, which can help us to push the boundaries of what is possible in steel, concrete, timber and glass. At CEA, we encourage technical excellence among our staff, and our structural engineers and technicians are trained by experienced staff to deliver the high levels of service that our clients demand. Unit 7 Block E, Nutgrove Office Park, Rathfarnham, Dublin 14.